*Must have* nostalgic candy assortment with a retro pencil case, ready to become a perfect gift for your loved ones ! 400g mix of Retro candy - Rainbow drops, Drumstick, Haribo, Wham, Black Jack and much more! GREAT SELECTION. approx. 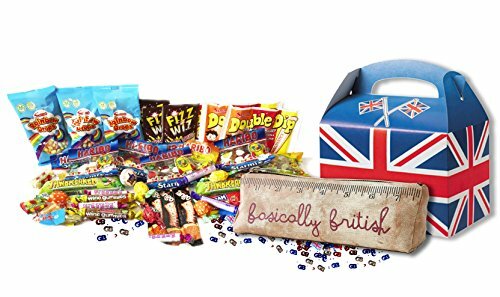 30 pieces //400g/14oz// of Retro sweets, made in England, packed in England and shipped from England! GIFT MESSAGE AVAILABLE Check the This is a gift box option to add personalised message to your order. We'll include a gift tag! If you have any questions about this product by The Yummy Palette, contact us by completing and submitting the form below. If you are looking for a specif part number, please include it with your message.